This Panorama was taken just prior to planting the runway during early October of 2007. Virtually all of the Mountain Waves visible in this photo are now accessible to Sailplane pilots under the FAA letter of agreement. The King Mountain Wave Area affords pilots great flexibility. The Wave Area overlays 1000 square miles and accesses at least 6 known wave locations. The agreement allows sailplanes with 2 way radio contact and a clearance from Salt Lake ARTCC to enter the Class A airspace and climb as high as Flight Level 280 or 28,000’ feet on a standard day. 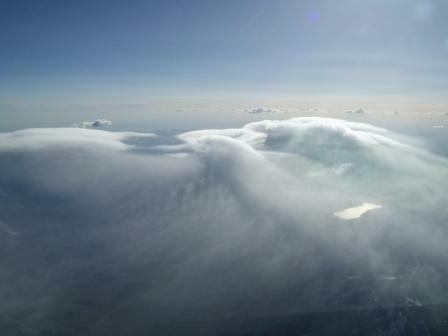 This Photo was taken looking NW from Flight Level L240 in the center of the Wave Area. Mackay Reservoir can be seen to the right. 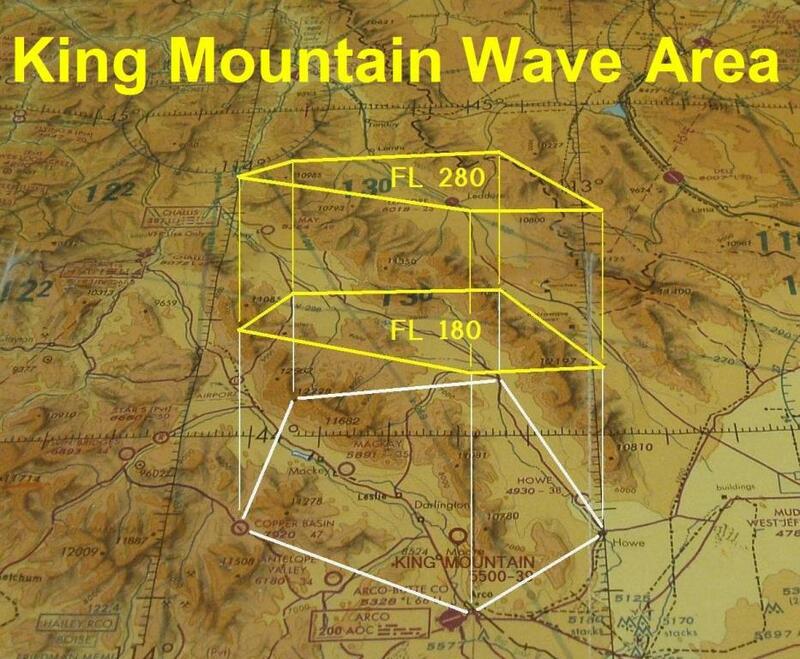 Flight levels are used above 18,000’ feet and pilots must set their altimeters to 29.92” when utilizing the wave area. Pilots who wish to participate in the SSA badge program will now be able to achieve their Diamond Altitude requirements and also earn their Lenni 1 pin at King Mountain. 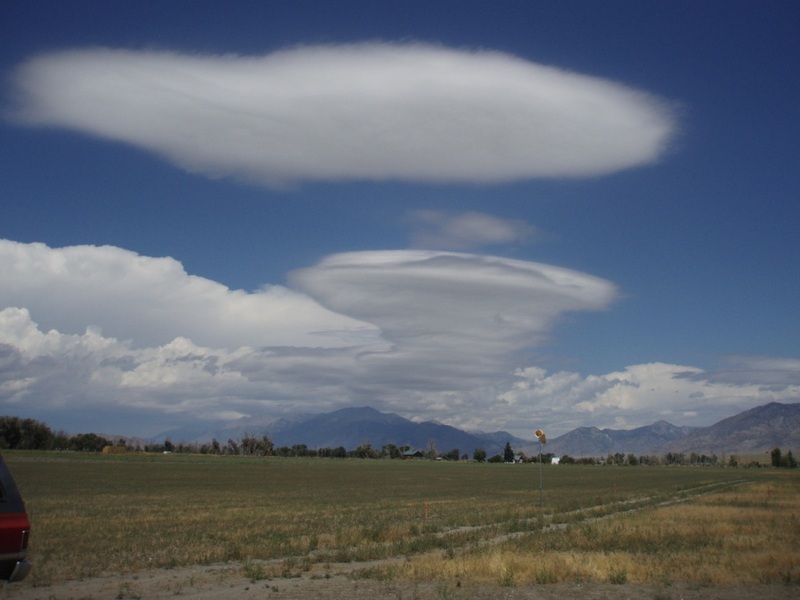 These beautiful waves were photographed from the King Mountain Glider Park in July. We are looking NW. Winds aloft were out of the WSW, yet the surface winds were blowing directly up runway 16, as can be seen looking at the wind sock. We can also see the Mackay Convergence Zone developing in the distance. 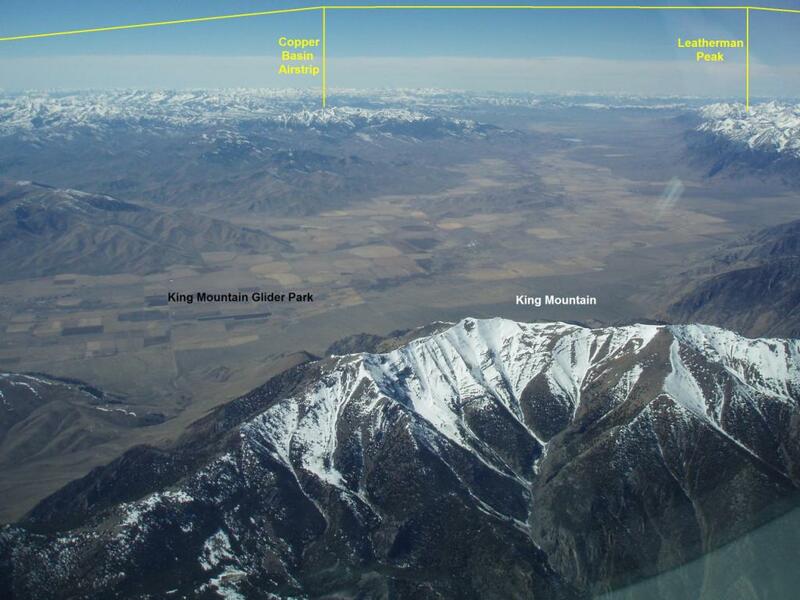 Here We are just leeward of King Mountain at Flight Level 240. We are looking west and northwest in the Wave Area. The Sailplane Wave Agreement in full.